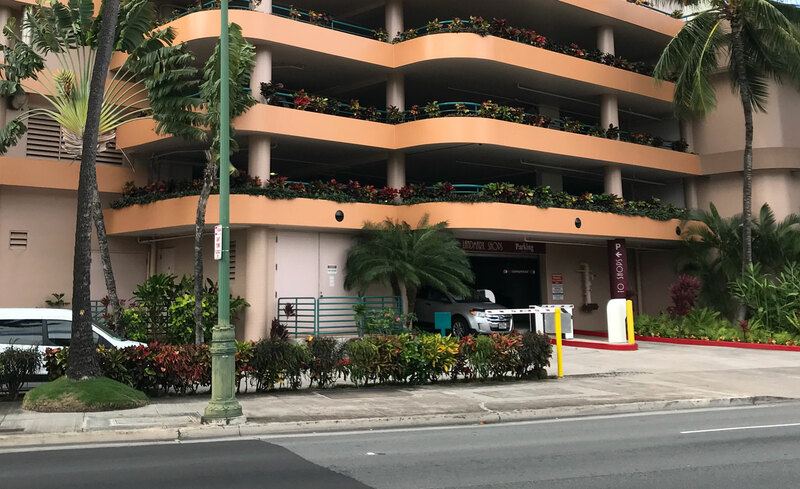 Parking structure accessible through Ala Wai Blvd. Monday-Saturday: 1:00-5:00 p.m. Closed Sundays. 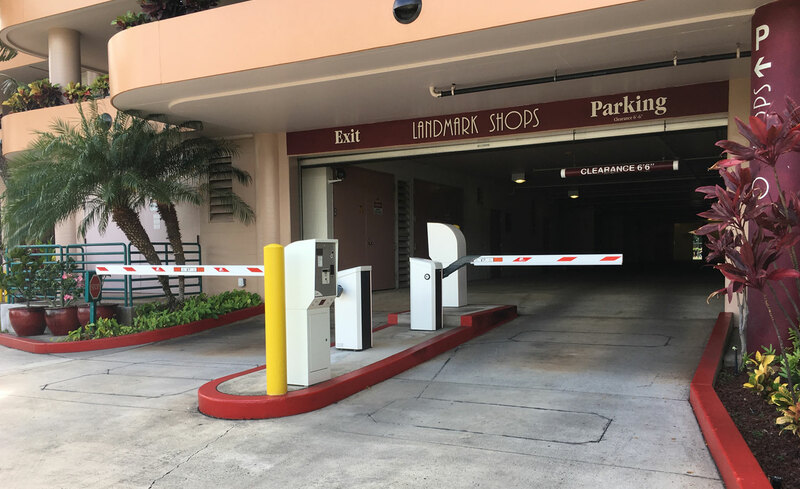 Validated parking in the Landmark Shops parking structure is accessible from Ala Wai Blvd only. Here are directions on how to find our parking structure. 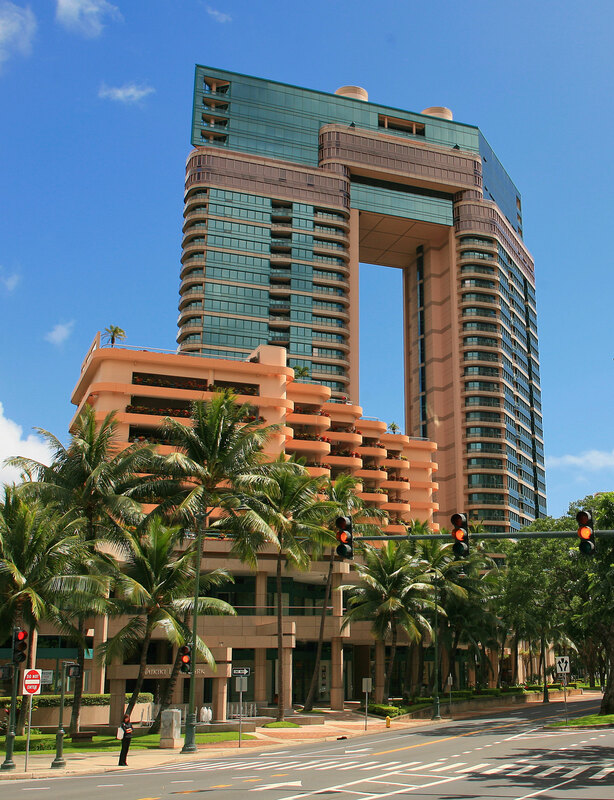 Although our address is Kalakaua Avenue, access to parking in our building is through Ala Wai Blvd. 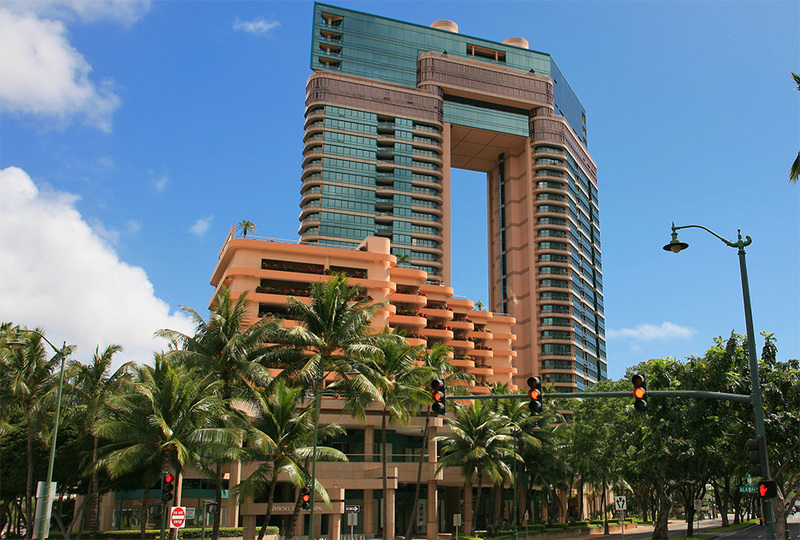 behind the Waikiki Landmark. 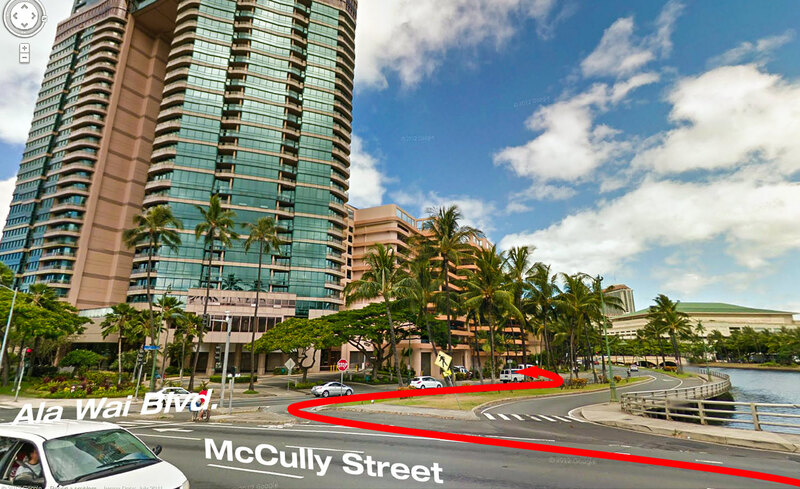 From McCully Street, merge onto Ala Wai Blvd. using the middle right-turn lane shown in this photo. Stay in the far left lane of Ala Wai Blvd. and look for the Landmark Shops entrance. Look for the Landmark Shops sign above the parking entrance. Please take a parking ticket from the unattended gate. 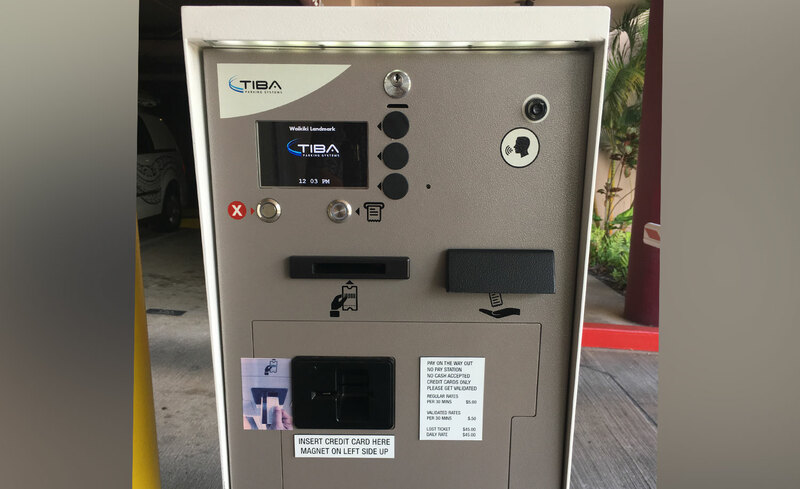 Parking entrance – Take a ticket from them unattended parking ticket dispenser. We will partially validate your parking ticket. The rate is $0.50 per 30 minutes. 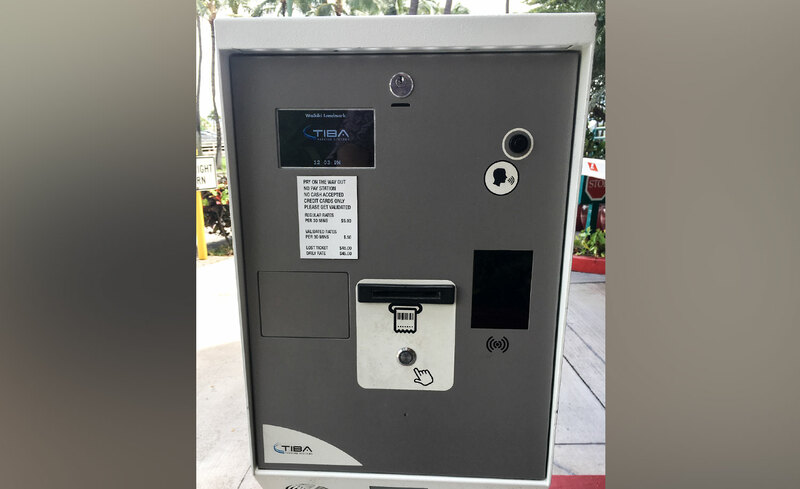 Parking exit – Insert your partially validated ticket into the unattended parking meter. The rate is $0.50 per 30 minutes. The machine accepts credit cards only.